Brian Joseph Regan was born on the 2nd October, 1957 in Miami, Florida, USA, of Irish descent. He is a stand up comedian well known for his self-deprecating, sarcastic and observational humour. 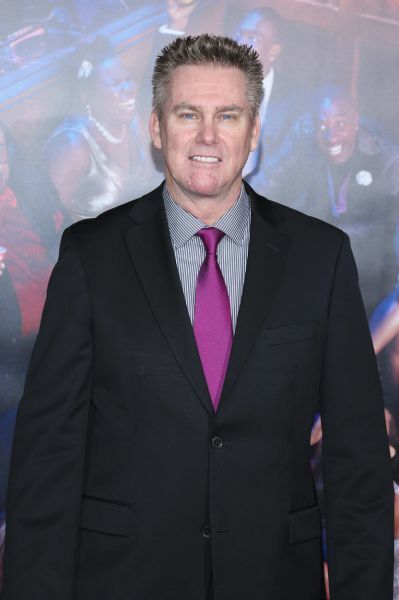 Brian Regan has been accumulating his net worth being active in the entertainment industry since 1980. How rich is this stand up comedian? It has been estimated by authoritative sources that the overall size of Brian Regan’s net worth is as much as $10 million. Reportedly, his wealth significantly increased after his appearances in Comedy Central (2007). More, recorded performances released on CD as well as DVD formats have also added sums to the net worth of the stand up artist. To begin with, Brian grew up in Westchester, Florida with seven siblings. He was educated at Christopher Columbus High School. Brian studied accountancy at Heidelberg College, though people were encouraging him to try theatre and communications. However, Regan dropped out of the college in his last semester since he decided to pursue the career as a stand up comedian. Regan was inspired by such artists as Johnny Carson, The Smothers Brothers and Steve Martin, and fortunately, his interest has evolved into a successful career which has added millions to the total size of Brian Regan net worth. It is worth saying that Regan went back to the college and completed his degree in 1997. Concerning the career of the comedian, it must be said that as well as the stand-up shows he has made a number of film and television appearances. His debut on television was made in the late night talk show “The Pat Sajak Show” (1989 – 1990) aired on CBS. Later, he hosted “Something’s Wrong with the Regan Boy” show (1992). Meanwhile, Regan episodically appeared in other shows like “The Dennis Miller Show” among others. Later, he was constantly invited as a guest to the “Late Show with David Letterman”, and Brian was seen in 28 episodes from 1995 to 2014. Regan appeared in “The Late Late Show with Craig Kilborn” (1999), “Late Night with Conan O’Brien” (2004, 2008), “The Tonight Show Starring Jimmy Fallon” (2015) and other shows. To add more, he worked as a panelist of the panel game and TV reality show “The Marriage Ref” (2010 – 2011) aired on NBC. Regarding recorded shows, the first CD entitled “Brian Regan Live” was released in 1997. Seven years later, Regan released a second set of performances, and “I Walked on the Moon” landed at the Irvine Improv. In 2007, Comedy Central offered Regan star billing in stand-up specials which later were released on a DVD. More, the successful tour in USA “Brian Regan in Concert: A Comedy Central Live Event” has been organised. This was followed by DVD releases “Standing Up” (2007) and “The Epitome of Hyperbole” (2008). In 2010, he released the CD “All By Myself”. Undoubtedly, all the above mentioned releases have added huge sums to the outright size of Brian Regan’s net worth. Finally, in the personal life of the stand up comedian, he is married to Kathleen Regan, and they have a son and a daughter.